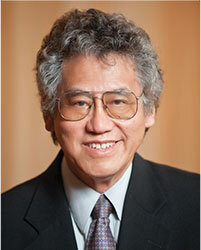 Columnist and radio personality Whitley Strieber noted that Wu's work "deserves extensive study" because it "carefully moves through the entire skeptical lexicon of arguments, rebutting each in turn." This is the stuff from which the old science fiction writers once dreamed. How refreshing it is to find writers by Winston Wu receiving this kind of recognition and praise for their work. We are fortunate to be living in this time of awakening. It is a time when human consciousness at long last has a chance to emerge from the yoke of a tunnel reality established thousands of years ago, when people turned to religious belief systems. More recently they tacked on the premise that science would solve all of the problems of the world. But even Einstein did not foresee all of the complexities of quantum physics, which brings forth contemporary probabilities of time travel, parallel universes, energy from antimatter, and human teleportation from one point to another. The brave new world we face will be even stranger than most people dare to dream. We suggest an evolved human, perhaps a human soul attached to a cyborg body and computerized brain. Perhaps we will learn to mentally rebuild ourselves into a more perfect structure than the one we already possess. In the future we may be so evolved we speak through mental telepathy, and move mountains by mere thought. Imagine having conquered disease, sadness and even death. We receive our energy from the earth and the sun. It will be a bright world of magic and wonder. Such a world is not only possible, it may be inevitable if the human race is to continue on. The present system in which we live is breaking down and we are rapidly approaching something new. Will it be extinction or the dawn of a new and exciting ascension into an existence filled with light and love? The latter is the Abba Father’s promise for our future. But first he warns that we will face some very difficult days of transition. Our future is a time when we learn to give up materialism and turn to a new spiritual path. Not everyone will make it. That America elected Barack Obama as its president was the correct choice. This man showed through his actions how to forgive others through light and love. Obama demonstrated in a personal way how we all must act to stop the division that has been the cause of neighborhood dissension, community rivalry, crime, war, and general wickedness. Instead of buying guns and building fences humans must learn to work together to solve the problems of overpopulation, hunger, homelessness, loss of natural resources, pollution and disease. Science will be a valuable tool, but it must be linked to a spiritual and mind-conscious awareness of our own powers as creators of the world we share. Thus the writings I have frequently submitted here, the predictions of a dying world, the destruction of billions of humans, and the great apocalyptic wars, may not happen at all. This is a scenario created by a fear-based religious system that must be put to rest before we think it into reality. It is possible that our future is much different than anyone now imagines. The secret is in shedding what contemporary author Robert Anton Wilson so aptly calls our "tunnel realities," and then learning to open our magical third eye so that we might see the whole picture. It is in connecting the two halves of our great bicameral brain. It involves mentally switching on the light in all of the cells in our bodies until we become lighted beings, glowing with inner light and love. When we can do this, change will come. The magic is possible. We are beginning to witness it at this, the final hour. Alas the new world may not open for all. Too many people continue to march in lock step behind blind leaders, not realizing that they are lemmings.